Roche has won the FDA’s first approval of a Zika virus detection test for use in screening donated blood. The FDA yesterday approved Roche’s cobas Zika assay, a qualitative nucleic acid test designed to find the Zika virus in individual plasma specimens obtained from volunteer donors of whole blood and blood components, as well as from living organ donors. “Today's approval is the result of a commitment by the manufacturer to work rapidly and collaboratively with the FDA and the blood collection industry to respond to a public health crisis and ensure the safety of blood in the U.S. and its territories,” Peter Marks, M.D., Ph.D., director of the FDA's Center for Biologics Evaluation and Research, said in a statement. In August 2016, the FDA issued a final guidance document recommending that all states and territories screen individual units of whole blood and blood components with an investigational blood screening test available under an investigational new drug (IND) application, or a licensed (approved) test when available. Several blood collection establishments have already used the cobas Zika test under IND protocol, following the recommendations in the FDA's 2016 guidance document. 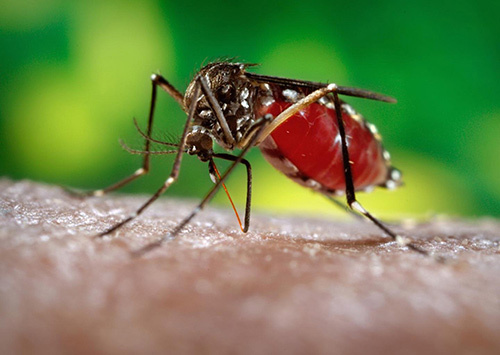 Data collected from this testing, and from additional studies performed by Roche, showed that the cobas Zika test is an effective test to screen blood donors for Zika virus infection, the FDA and Roche said. Individual samples from blood donations were tested at five external laboratory sites, and achieved clinical specificity of more than 99%, Roche and the FDA added. According to “First Zika-positive donations in the continental United States,” a study published last year in the journal Transfusion, 23 of 358,786 blood donations screened were initially reactive on cobas Zika. Of the 23 donors, 14 showed probable Zika infection based on reactivity on additional nucleic acid testing or anti-Zika immunoglobulin M. And of those 14, 10 donors reported travel to an identified ZIKV-active area within 90 days before donation, while three donors with travel history also had a potential sexual exposure. Roche’s cobas Zika was one of two Zika tests to show 99% clinical specificity in studies published last year. The other was Grifols’ Procleix® Zika assay, which in a separate study found five confirmed infected donors with travel exposures detected outside areas considered as having active transmission, from among 466,834 donations. The five most likely represented travel-acquired “tail-end infections” who had prolonged red blood cell-associated Zika virus RNA, according to the study, “First cases of Zika virus–infected US blood donors outside states with areas of active transmission,” also published last year in Transfusion. In a deal completed in Janaury, Grifols acquired Hologic's interest in their joint blood screening unit for $1.85 billion. The unit engages in research, development and manufacture of assays and instruments for blood screening, based on nucleic acid testing (NAT) on the Procleix® Panther® system automated platform. Based on the promising results showed by the Roche and Grifols Zika tests, the FDA agreed last year to partner with blood collection agencies to begin investigational screening of donors for the virus, starting in Puerto Rico and later expanding to the entire U.S. The cobas Zika test is intended for use on the fully automated cobas 6800 and cobas 8800 systems. Both systems, like the test, are manufactured by Roche Molecular Systems. The test is based on fully automated sample preparation (nucleic acid extraction and purification) followed by PCR amplification and detection.